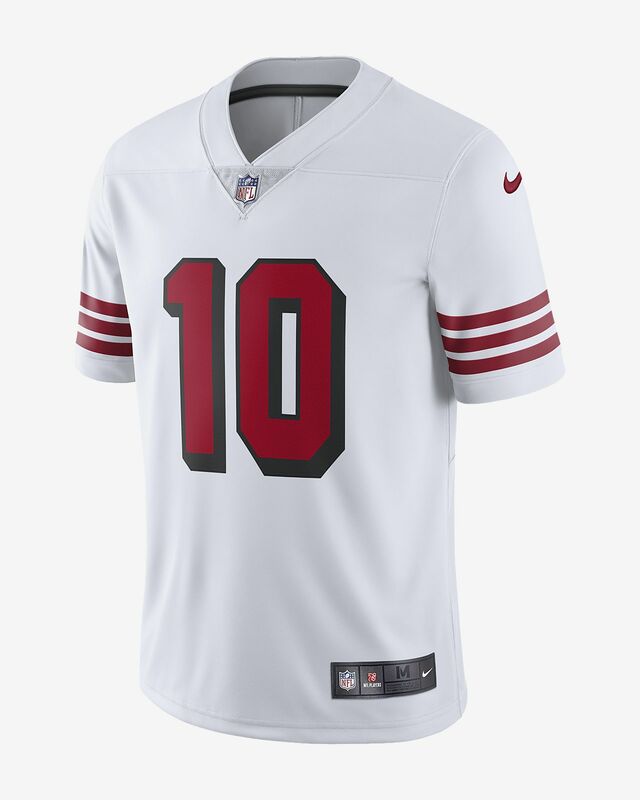 The NFL San Francisco 49ers Limited (Jimmy Garoppolo) Men's Football Jersey delivers unparalleled fit and style at the stadium or on the street. Sweat-wicking technology offers up cool comfort, while the twill lettering adds an authentic touch. 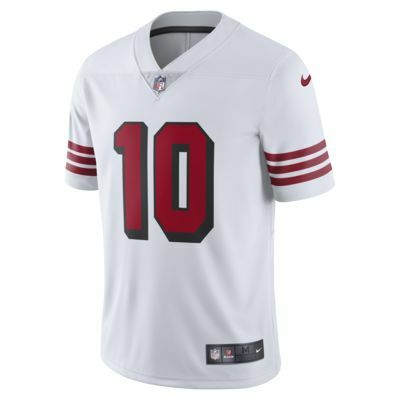 The NFL San Francisco 49ers Limited (Jimmy Garoppolo) Men&apos;s Football Jersey delivers unparalleled fit and style at the stadium or on the street. Sweat-wicking technology offers up cool comfort, while the twill lettering adds an authentic touch. Standard fit has a relaxed, easy feel. Tagless neck label for streamlined comfort. Sublimated twill lettering and numbering for premium style. Same back seam design as official game-day uniforms. Chainmail mesh grill at the front neck is inspired by on-field jerseys. This product is made with 100% recycled polyester. The material comes from plastic bottles that Nike has diverted from landfills since 2012—bringing Nike’s total to nearly 6.5 billion and counting. Have your say. Be the first to review the NFL San Francisco 49ers Limited (Jimmy Garoppolo).